Microsoft Frontpage is one of the most powerful Web development tools available out there today. To get the most effective experience from Frontpage, though, you need a Web host that is fully compatible with all its features. Using Frontpage, you can work directly on your website and see changes made instantly. Likewise, you could work on several different pages at one time and then allow them to “go live” at a time of your choosing. Frontpage makes sophisticated sites easy! Although its functions are supported through FTP and other Web host basics, some hosts have disabled parts of Frontpage to improve data security on their servers. That being the case, you should always make sure your host offers all Frontpage features. HostingSource makes it easy for you to use your integrated Frontpage features thanks to the Plesk control panel that helps you monitor your website. It takes only a few minutes to set up Frontpage for the first time. Once you’re done, you can easily update your site for its entire life. 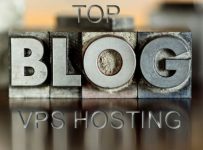 HostingSource VPS is regarded as one of the most reliable in the industry. Features are both inexpensive and robust, allowing you to administer unlimited sites. Plus, you have your choice of Linux or Windows hosting if you are a power user who requires a certain operating system. 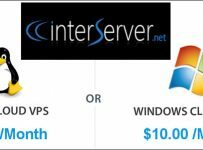 Interserver is one of the top VPS companies in the world for those looking for a great deal. 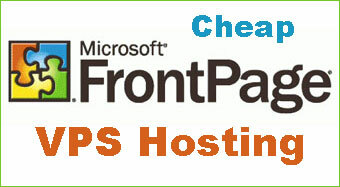 As with HostingSource above, you can set up your Frontpage functionality through your cPanel or Direct Admin suite, which is included with your VPS package. If you feel your site will grow very quickly and might need lots more resources than it does today, Interserver may be your best bet. 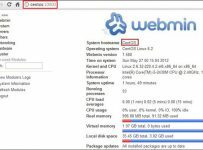 It has the lowest starting cost of any VPS host, and each “slice” of resources adds tons of of RAM, bandwidth and space.